Securing healthy monetization outcomes means knowing which door you should knock on, and, equally important, when to do it. As publishers make use of the ads displayed on their websites, their most logical course of action is to ensure that these ads reflect what they identified as their audience’s preferences in relation to the provided content, serving as the “door” in this example. Yet, your visitors also comprise individuals of varied geographical and demographic origins, necessitating showing them the ads which hold the highest relevance to them at an opportune moment. 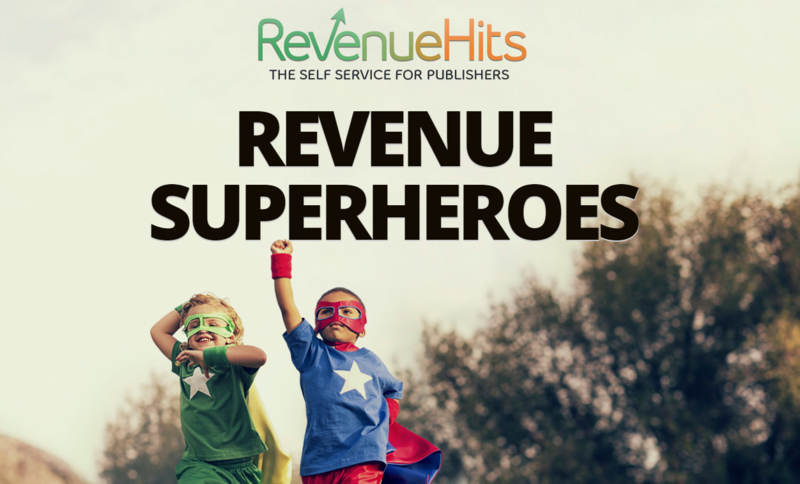 RevenueHits wants to help you on both accounts, providing you with ads that meet the highest standards of quality and clean advertising, while being aligned with the content loved by your audience at the same time. Increasing adoption of analytics means that publishers and advertisers can finally come face-to-face with their audiences at all levels of interaction with the content they offer. If you accept the veracity of an old adage proclaiming content as the undisputed “king” of marketing, you’ll also do well to treat the environment it exists in and the audience it serves as its “kingdom”. And it is exactly this province in which you need to seek to bring your monetization efforts to a satisfactory conclusion. If you are going for the hearts and minds of your audience, you’ll have to accept that they are not coming to your website in order to see your ads per se. At the same time, there is no reason to avoid investing just a little effort and making the audience perceive your ads not as a necessary evil or an obstacle to accessing your content, but rather as an integral part of the healthy and sustainable foundation of their beloved site. RevenueHits is well aware of this fact and it acts on it by providing you with an integral platform that ensures permanent contextual relevancy of the ads you show to your audience. It allows for monetization of your website’s ad space and its elements, including widgets, toolbars and other assets, by exclusively serving the ads which protect your credibility, brand and reputation. This is done through the utilization of Geotargeted ad serving technology that ensures that all of displayed ads fit perfectly with both the content and the context of your web property. RevenueHits manages to achieve this with the smart deployment of advanced algorithms that are capable of engaging in researching both your audience and the context, which will prove to be the most conducive to your stellar marketing performance. In other words, it will give you access to an ad inventory that is composed only of contextually compatible and high-performance ads which are relevant to your audience. You’ll soon learn to love these ads, as they are bound to drive better traffic and conversion rates based on contemporary findings regarding basic human psychology. The experts claim that the audience that interacts with ads makes their decisions automatically, not “rationally”, as the reason kicks in only afterward. Thus, if you want to make use of this fact and profit from it in the process, you better create conditions for them to approach ads from this perspective, and the best way to do this is to ensure logic and cognitive alignment of the content and context in which the ads appear. With RevenueHits, you are safe from having a misplaced or irrelevant ad shown next to the content that draws your audience. This means that you’ll not see fast food chain ads placed next to your articles on healthy living, nor ads promoting casinos on your football blog. It also cuts down on time required to maintain your site’s engine, allowing you to focus on creating and sharing better content, through the use of blog title generators, advanced quantitative analytics tools and social media automation tools. Speaking of the context, RevenueHits pledges not only to serve well-performing and highly targeted ads but also those that had undergone the strictest level of control in terms of their origin. Once again, the RevenueHits’ imperative is to provide you with the ads that both fit well with the content and relieve you of any worry regarding their potential to hurt your context and reputation by linking to advertised content of dubious origin. More than 20000 publishers using RevenueHits’ platform are well aware of its ability to demonstrate the company’s adherence to the strictest practices related to the clean advertising philosophy. First of all, all advertisers that work with RevenueHits are contractually bound to prove that their ads or affiliated websites are in no way related to any harmful advertising practices. This entails strict adherence to zero tolerance policy regarding redirecting, spoofing or trafficking related to adult or pornographic websites. The same applies to the advertisers’ ads which are prohibited from featuring references to pirated software of any type, including warez, torrent links or illegally available directories. RevenueHits recognizes that ads of this type can severely damage not only your content and context but your brand and reputation as well. In addition to providing you with clean and targeted ads, the company will also protect your audience from ads that use mobile redirects, inappropriate tags or links to landing pages with viruses or other malware. All of these efforts serve only one purpose: striking the balance between your content, its context, and ads that need to integrate well with both while improving the overall UI/UX performance of the monetized website. RevenueHits achieves this by an uncompromising dedication to serving only contextual and profitable ads and ensuring that the same level of commitment is applied to the exclusive provision of clean ads that make your website and brand appear mature and professional. Modern-day publishers can no longer afford themselves to approach digital marketing without sufficient focus on the alignment of ad-based monetization efforts with both the content and context in which they take place. In case of website monetization, this means that its successful outcomes will be greatly helped if your audience is served only contextual and relevant ads that can both pique their interest and invite interaction with them in addition to the content they co-exist with. RevenueHits offers a comprehensive solution to this, as its advanced technology picks and serves only high-performance ads to precisely identified and targeted audience. At the same time, it protects your website’s credibility and reputation by delivering only the ads that are in line with its strict clean advertising policy. Thus, using this solution will help you achieve synergy between your ads, content & context, as well as related branding and monetization efforts.